Long before PBS beamed Sesame Street via satellite into America's homes, back in the days when its predecessor NET delivered by special messenger its educational programs on bulky 2" open reel videotapes to individual television stations across the country, there existed a bold experimental program designed to make educational television available to a wider audience. After the FCC freeze on new station applications was lifted in 1952, channels in the ultra-high frequency spectrum were made available, adding channels 14 to 83 to the twelve already on VHF. 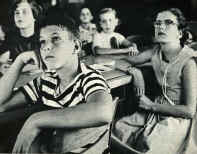 It was further decided that in larger metropolitan areas, certain channels would be allocated for non-commercial educational use. As early as 1953 preparations had begun to launch an educational television station in Chicago and on Monday, September 19, 1955 The Chicago Educational Television Association (CETA) brought WTTW Channel 11 to the airwaves. Ten years later, after Westinghouse dropped its plans to build WIND-TV, the FCC approved the transfer of the construction permit to the CETA and WXXW Channel 20 was born. 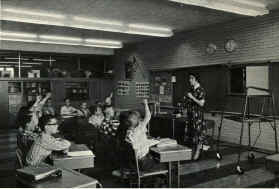 However the addition of the second channel only increased the classroom instruction programming to viewers within the limited range of the two stations. In theory at least as WXXW was plagued with technical problems almost from day one. Problems aside, it proved one thing. Educators wanted televised classroom instruction but a national network of educational stations, offering simultaneous programming to viewers across the country in the same manner as the commercial networks had seemed an almost unattainable goal. Enter the Midwest Program on Airborne Television Instruction (MPATI), a not-for-profit consortium of several educational institutions and television producers, which included, in addition to the aforementioned WTTW and WXXW, WCET in Cincinnati, WFBM-TV in Indianapolis, The Tri-County Educational Television Council, and New York University. Launched experimentally in 1959 and headquartered at Purdue University in West Lafayette Indiana, MPATI began regular service in 1961 with $16 million from the Ford Foundation, which exclusively funded the project in it's first year of regular operation. The MPATI transmitters, KS2XGA and KS2XGD, were located inside a propeller-driven DC6 aircraft, which when not on the air (or in the air as the case may be), could be found at the Purdue University Airport. An identically-equipped spare DC-6 was on the ground on stand-by. Cruising roughly four and one half miles above Montpelier Indiana in a basic figure-8 pattern, the flying television stations transmitted two broadcast signals of separate programs on different channels simultaneously. One 24 foot antenna extending from the belly of the plane beamed the signal across a 200 mile radius covering Illinois, Indiana, Wisconsin, Ohio, Michigan, and Kentucky. The genesis of the MPATI program actually dates back to the mid-1940s when Westinghouse engineer Charles Noble discovered that broadcasting a television signal from an airborne aircraft could eliminate the line-of-sight transmitting limitation that plagued terrestrial stations and increase the broadcast transmission range. He called it Stratovision, a network of strategically placed aircraft orbiting the skies transmitting television signals to hundreds of thousands of homes. But the FCC freeze on new television station applications in 1948 killed the Stratovision concept before it could ever begin. By the time the freeze was lifted in 1952, the entire landscape of television broadcasting had changed with America enjoying a potpourri of programming offered by four networks of affiliated stations across the country. It appeared as if the Stratovision idea was obsolete. That is until 1958 when Westinghouse (itself a pioneer in broadcasting since the turn of the 20th century) dusted off the idea and approached Phillip Coombs, Executive Director of the Ford Foundation. Westinghouse pitched the idea of using the Stratovision concept for educational television, which unlike the commercial networks, did not support a means to distribute simultaneous educational programming either regionally or nationally. Coombs gathered together Midwest educators at Purdue. With their support of the project, now called the Midwest Program on Airborne Television Instruction and the financial backing of the Ford Foundation, the FCC granted MPATI a three year experiment and two channels in the upper UHF band. Howard Cromwell (Superintendent of Schools in Middletown Ohio) and John Ivey (Dean of Education at the University of Michigan) became president and chairman, respectively. Others of the executive board included Samuel Miller Brownell of the Detroit Public Schools and Benjamin C. Willis, General Superintendent of the Chicago Public Schools. Cromwell began the painstaking task of working with numerous universities developing the curriculum of primary and secondary courses in such subjects as English, foreign language (including languages not normally taught at such levels), music, literature, science, the arts, and mathematics. The last category giving rise to the project's nickname of "Pi In The Sky." After a nationwide search conducted with the cooperation of several teaching universities, 20 teachers were chosen. Courses were assessed for their academic value while the technical quality of the programming was monitored by engineers. Six and half tons of identical transmitting equipment, consoles, VTRs, and related broadcasting equipment, along with shelves of duplicate libraries of videotapes were bolted down and shock-mounted onto two DC-6 planes leased from Purdue University. As it was the Ford Foundation's intention to fund only the first year of the three-year experiment, a campaign began to enlist the support of member schools. This became the responsibility of John Ivey. Through his leadership, the MPATI membership program became the most important part of the organization as the financial support would come only from its members. Under Ivey, the project was divided into eighteen districts across the six-state area. All of the districts acted under the guidance of specially selected colleges and universities that also served the MPATI staff. WTTW parent CETA partnered with MPATI and the Tri-County Educational Television Council and attempted to attract schools into its membership by offering multiple channels of classroom instruction. In addition to the courses already offered by the CETA and the Tri-County ETV Council, all MPATI primary level courses would be offered on a staggered schedule over WTTW and the soon to be launched WXXW. Also as part of the deal, MPATI courses in all levels would be broadcast on KS2XGA Channel 72 and KS2XGD Channel 76. As an added bonus, MPATI programming would also be beamed to the CETA's Chicago area translators on channels 78 and 83*. A printed schedule of programming would be distributed to the member schools. Not only did the multiple channels offer more content but the staggered scheduling attempted to answer a logistics problem that plagued the project from the very beginning and that some speculate was a major reason that MPATI could never reach its goal of 5600 member schools to keep the project financially solvent. One must remember that this was in the days before VCRs in the home, let alone a classroom. Slaves to the MPATI schedules (early on it was clear that two channels were not enough), the schools were spread across multiple time zones, which along with daylight savings time, made universal scheduling extremely problematic. The CETA/MPATI/Tri-County ETV partnership sought to correct that problem, at least within its own ranks. But scheduling was only one reason success eluded the flying classroom. At this point in time, videotape technology was still in its infancy. Along with being bulky oversized behemoths, these early video tape recorders were powered not by solid state circuitry but by vacuum tubes subject to regular burn-outs and malfunctions. Operating such equipment in the back of an aircraft certainly didn't make things any easier. The project did, however, sport some technical "firsts." One being the ability to transmit two separate UHF signals from one antenna mast. A diplexer prevented the two signals from interacting when fed to the antenna. Also to transmit a television signal from a terrestrial station fifty miles took at least 20 kilowatts of power. Transmitting 23,000 feet above, 1 kw was all that was needed to beam the signal 200 miles. Climbing to an altitude of 30,000 feet, the broadcast range could reach 300 miles. This made the little used upper UHF channels perfect for the project as ground-based stations operating at those frequencies needed enormous amounts of power and would never achieve anywhere near the broadcast range. The technical problem of having a antenna that is constantly moving, which under normal circumstances would cause havoc to reception, was addressed in the following manner. Once the aircraft reached it's orbit position (called "on station"), the 24 foot antenna mast would be hydraulically extended in a straight down position and a gyroscope would keep it within one degree of the vertical no matter what position the aircraft may be in its orbit. As if membership woes and the technical limitations of the era were not enough, MPATI endured a crippling blow when the FCC refused to grant additional UHF channels to the project. By the mid 1960s, significant advancements in satellite technology had been made. Indeed the Russians already had Sputnik circling the planet since 1957. Once again, the former Stratovision concept would fall victim to obsolescence. Also by 1966, the FCC had decided to stop issuing any licenses for television stations above channel 69. By the 1970s, channels 70 through 83 were no longer available on television receivers. It could also be said that the failure of the project could also be attributed to just the mere fact that it was available on UHF. Before a government decree ordering American television manufacturers to include UHF channels 14 to 83 as a regular part of the receivers, UHF signals were hard-pressed to come by. While indeed there were a handful of manufacturers prior to the decree that offered all-channel reception, most television owners had to make due with a set-top converter. These units, connected the same way you would hook-up today's cable or satellite converter, were equipped with "fluid-type" tuners similar to a radio tuner. Users would have to slowly move the dial to find a signal and then hope to get the reception "just right." Even when manufacturers began to include the UHF channels as part of their sets, the same fluid type tuners were still being used. It would not be until later in the decade that TV would become equipped with "click-position" UHF tuners like their VHF counterparts. Because the MPATI broadcasts were not scrambled, anyone with a UHF tuner could receive the programming, a fact that was not lost on schools that were not inspired to join. By 1967, it became clear that the MPATI program could no longer continue its broadcast service. 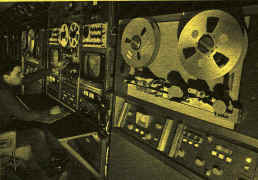 Reorganized and restructured, MPATI became a tape library in 1968, returning the two DC-6 aircraft and surrendering its broadcast licenses to the FCC. It would serve as a library to its member schools for the next three years. Financial problems and technological advancements continued to plague the MPATI project and it was dissolved in 1971, it's tape library going to Great Plains National Instructional Television Library. Legal problems with Westinghouse kept the MPATI name in the news as late as 1973 but the two entities finally settled marking an unceremonious end to a bold and ambitious project. In 1969 the Public Broadcasting Service was launched with WTTW Channel 11 and WXXW Channel 20 member stations. By 1972, WXXW had gone dark. Economics and the changing landscape of educational television reasons for its demise. The frequency would become "live" once more in 1983 with the debut of WYCC. NET, National Educational Television, would continue distribution of tapes for PBS until being absorbed into the network itself. *For the record, there were call letters assigned to the translators on channels 78 and 83, however at this time they have been lost to history. Most likely they also used the experimental KS2X prefix.